What would the world be like if 80 percent of the population manifested extraordinary superpowers called “Quirks” at age four? Heroes and villains would be battling it out everywhere! Becoming a hero would mean learning to use your power, but where would you go to study? U.A. High's Hero Program of course! But what would you do if you were one of the 20 percent who were born Quirkless? 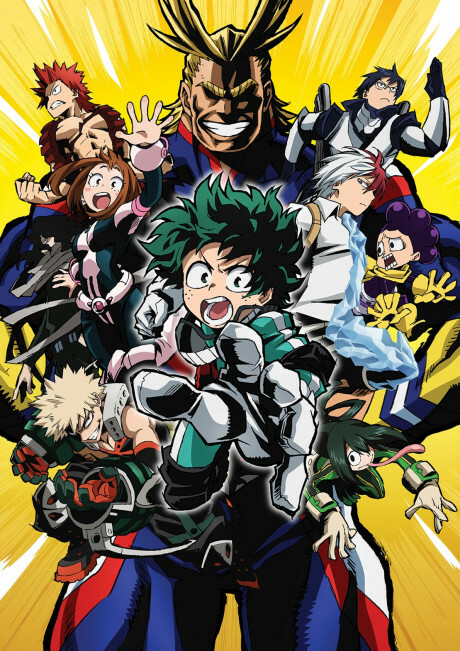 Characters, Art, Soundtrack, Plot, Animation... Boku no Hero has everything at the top. The epic levels are over 9000! !